The trend towards natural gas fuel is continually increasing. More and more car drivers let their car re-equip with gas engines for the following reasons: less operating costs, the economical and environmentally friendly way of driving and a well-developed petrol station network. However, use of gas as fuel also involves problems like the mixture ratio of LPG gases, missing adjustments between engine and gas, higher temperatures and higher load on the ignition leads and ignition coils compared to petrol-driven vehicles. 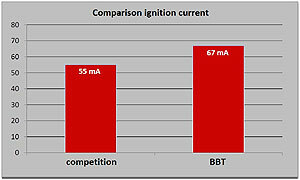 BBT ignition cable sets have a metallic conductor for the most gas engines which acts as electrical resistor and inductor at the same time. 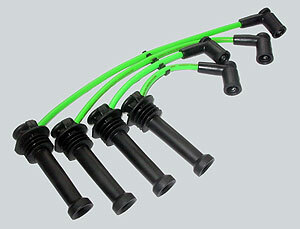 Thus, the ignition cables provide the spark plug with a more powerful ignition current. Extensive research at the engine test bench has shown that the technology of the BBT ignition cables for natural gas engines are superior to comparable ignition leads. A higher spark current causes a faster combustion, lower fuel consumption and as result, the CO2 emissions which affect the atmosphere are reduced.